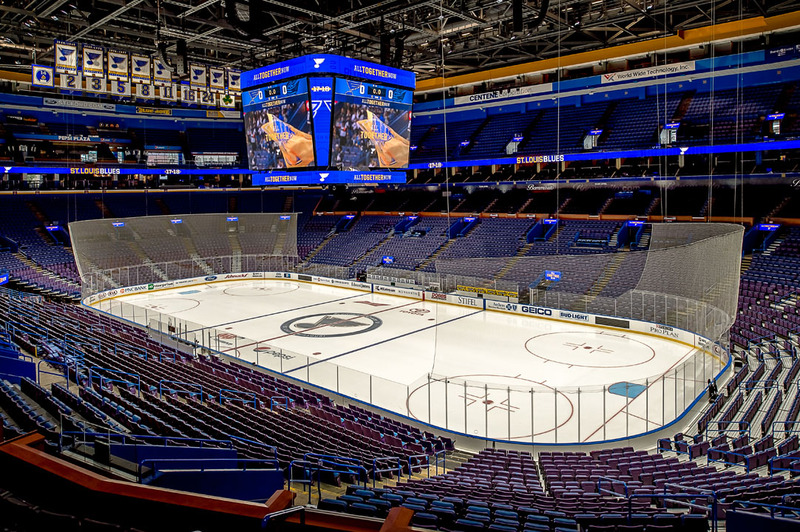 PARIC Corporation proudly partnered with the St. Louis Blues and Enterprise Center to dramatically renovate several areas of the arena. 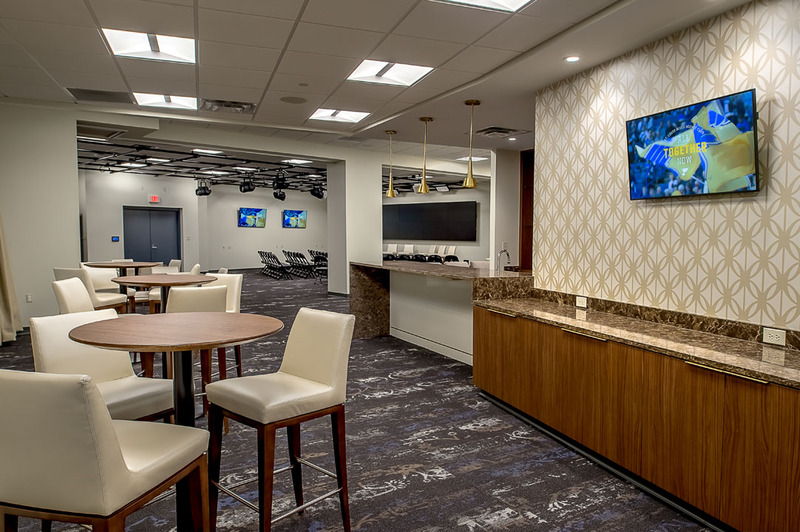 The most labor-intensive piece of the renovation included the complete demolition and reconstruction of the ice rink which was removed and rebuilt in a record-breaking six weeks. 50 concrete trucks laid 500 yards of concrete in one continuous 11-hour pour, to create a seamless “super-flat floor.” To keep the ice perfectly chilled, 350 tons of sand were compacted and 2.5 miles of permafrost pipes installed. An additional 11.4 miles of steel refrigerant piping was then looped and laid throughout the rink. 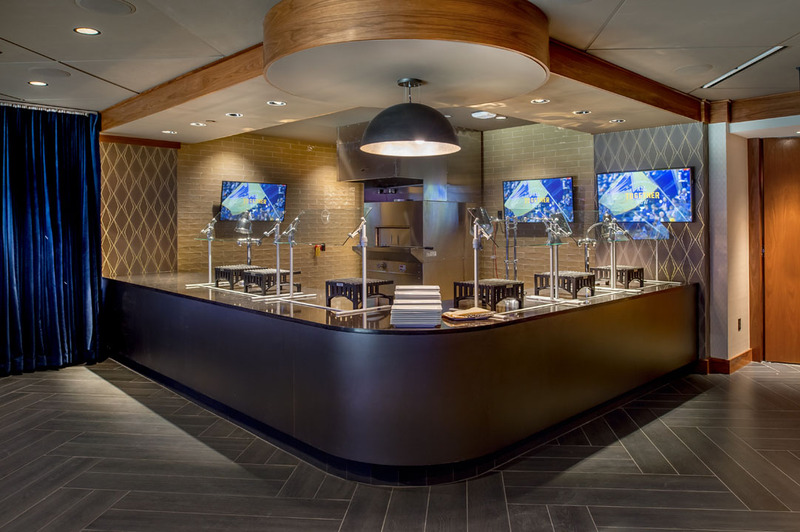 The new rink provides a competitive ice surface for NHL games, NCAA Ice Hockey tournaments, U.S. Figure Skating Championships and other national and international ice-related competitions. 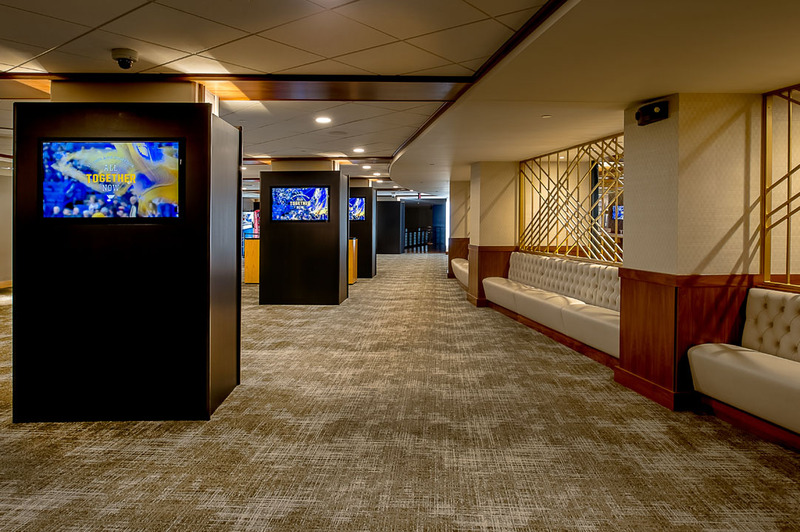 Upgrades also include efficiency and green-initiative improvements. Another exciting upgrade is the new center-hung scoreboard and ribbon board display. 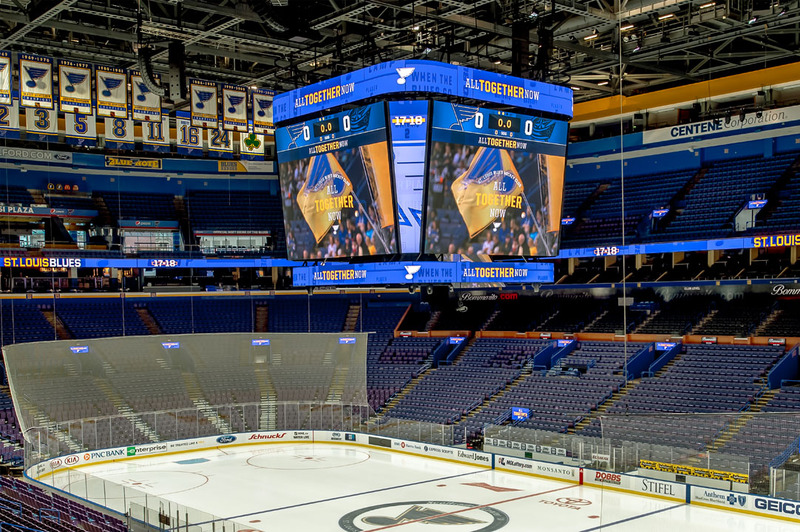 The three-ton scoreboard includes a new hoist system, features twelve screens, and is almost twice as large as the old scoreboard. 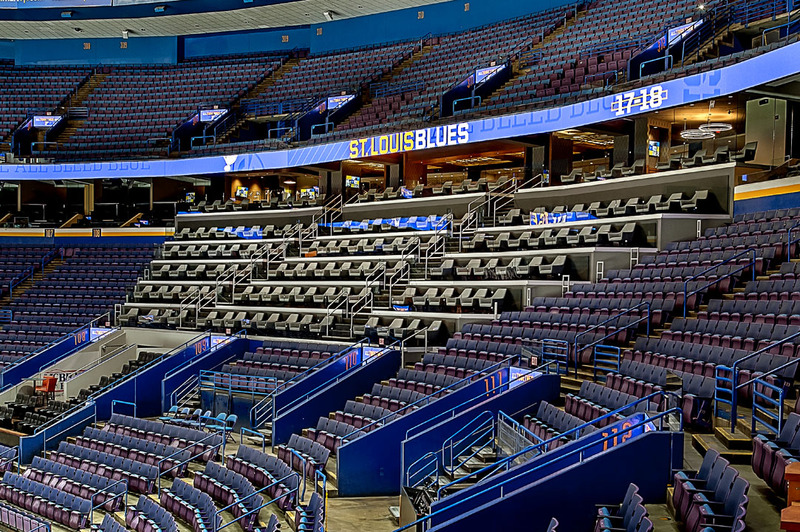 The ribbon board is the first complete 360 degree ribbon board display in the NHL and has a display area of 2,800 sq. ft. Lighting and sound upgrades have also been made throughout the arena. 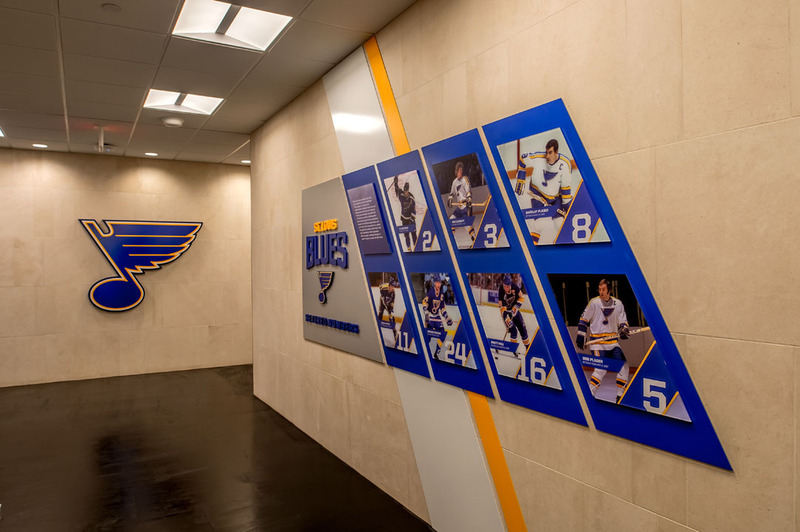 The St. Louis Blues main locker room and NCAA locker rooms were completely renovated as well as a new family and entertainment flex space. 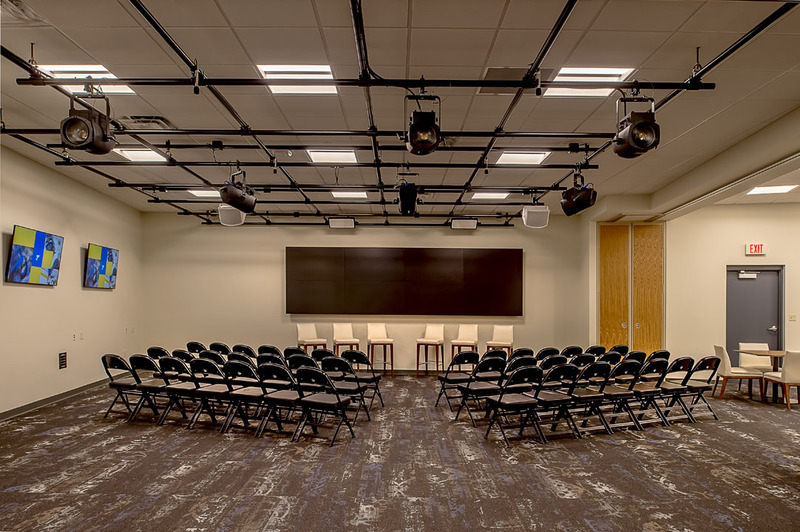 Press and media workspaces were also updated with the latest technology and equipment. 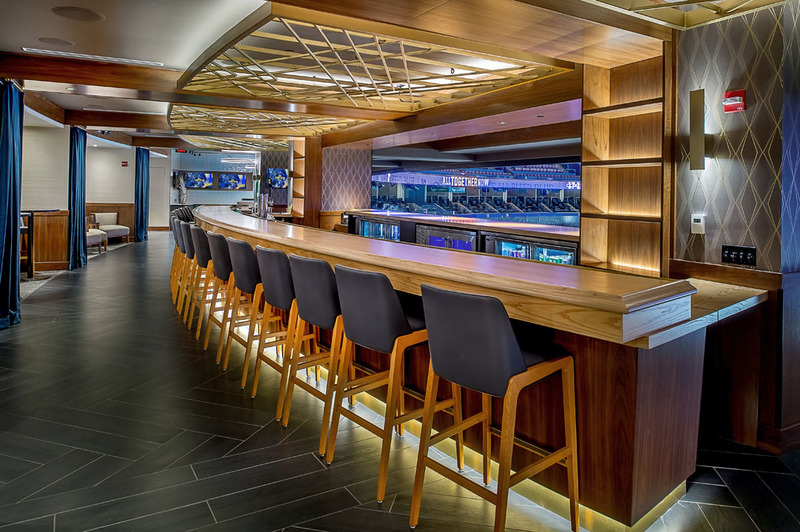 An all-new premium 132-Seat Theater Box section was added which includes a 44-seat Bar/Lounge/Concierge. 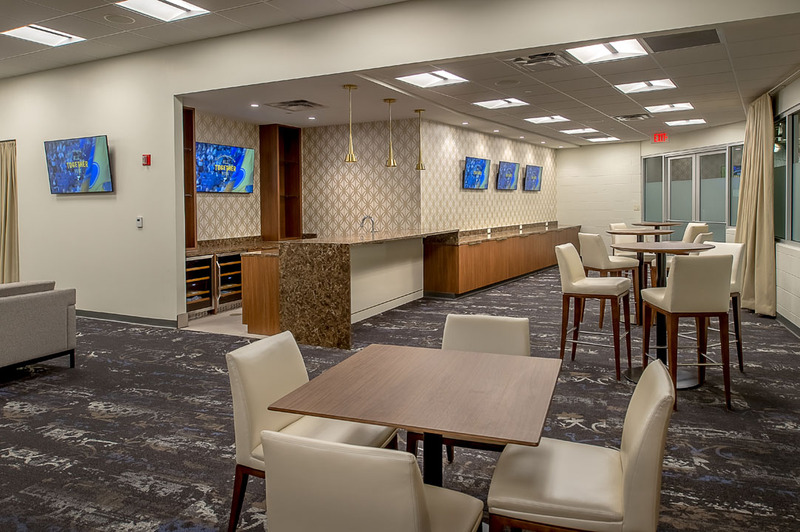 The suite level lobby and bathrooms have been completely revamped as well as renovations to the restrooms and several concession areas on the Plaza and Mezzanine levels.